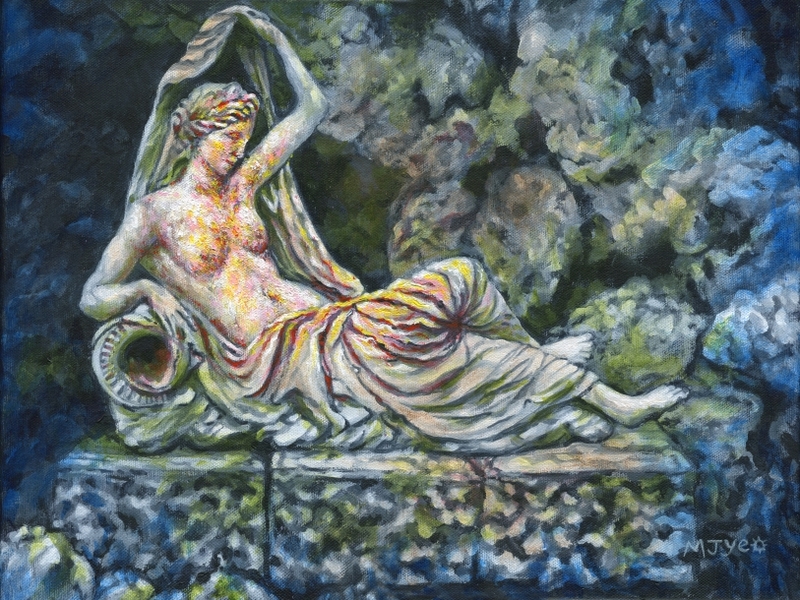 This is a painting based on the Sabrina at the Grotto sculpture at the National Trust's Croome Court, Worcestershire. I like her feminine and serene look. In the painting I wanted to make the most important part of the subject stand out by painting it in warmer colours and making it look in sharper focus than the rest.